This is my design foy you, I hope you like it. 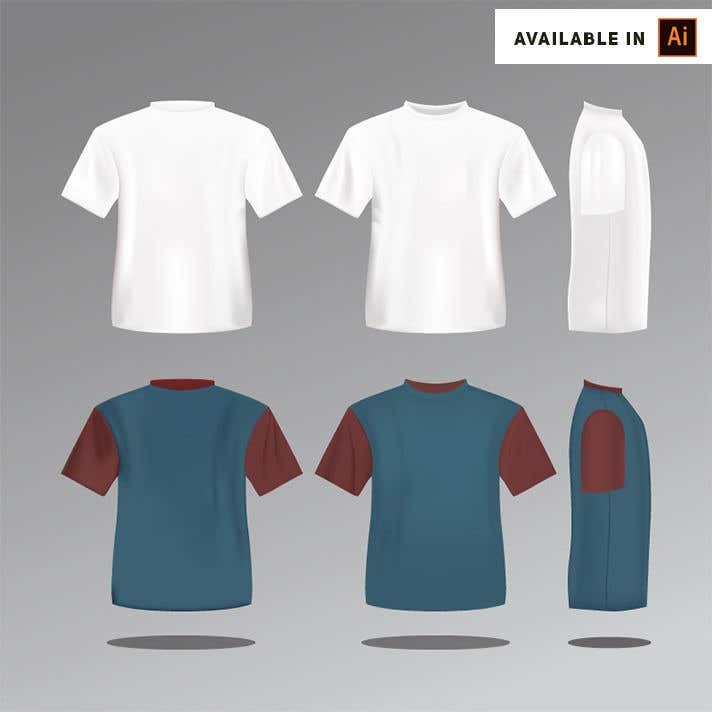 It´s available in Adobe Ilustrator, and with the characteristics that you need: -Then I want to be able to customize the front of the shirt -Then I want to be able to customize the back of the shirt -I want to be able to customize the sleeves -I want to be able to customize the collar I did put an example for you can see it. Thank´s for your time, and If want anything only send me a message. Yes, Each t-shirt and each parts of it are etiqueted. would each part such as the collar, the front, the back, and the sleeves be on own labeled layer?